Hello Guys..!! In our Previous Tutorials we shown you with the help of Video tutorial that How you can install Android Kitkat on any PC (Dual Boot with Linux, Mac or Windows). 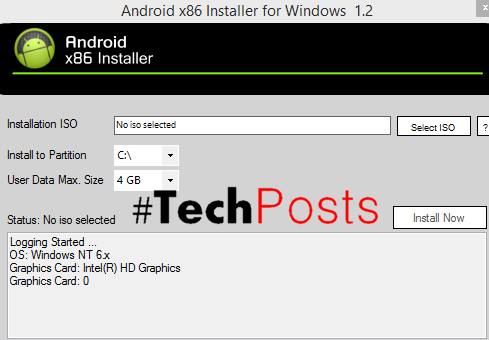 Well, today in this How to Guide we will Show you How you can install Android 4.4.2 Kitkat on any Windows PC with Android x86 Installer in just a Single click and Dual boot Windows and Android. The best thing about the Android x86 installer is that you don’t need to create any bootable USB Drive or install Grub bootloader which many do not like. The problem with the previous installation using USB, many faced problems like Bootmanager is Missing, error 16, hangs at Android boot LOGO etc. Also we have limited space of 2GB when we install using Android-x86 4.4 Bootable USB while if we install using Android x86 Installer, we can create internal storage from 2GB(Min.) to 32GB(Max.). This Installer will let you install Android x86 on your PC like any other application, for example, installing VLC media Player. Android x86 Installer ensures no risk to Damage HDD Partitions, Boot Data or User Data. It’s like WUBI (ubuntu installer) but it is NOT a WUBI Based Installer. You can uninstall it anytime like you uninstall a Program in Windows. Click Install and wait about 5 min. 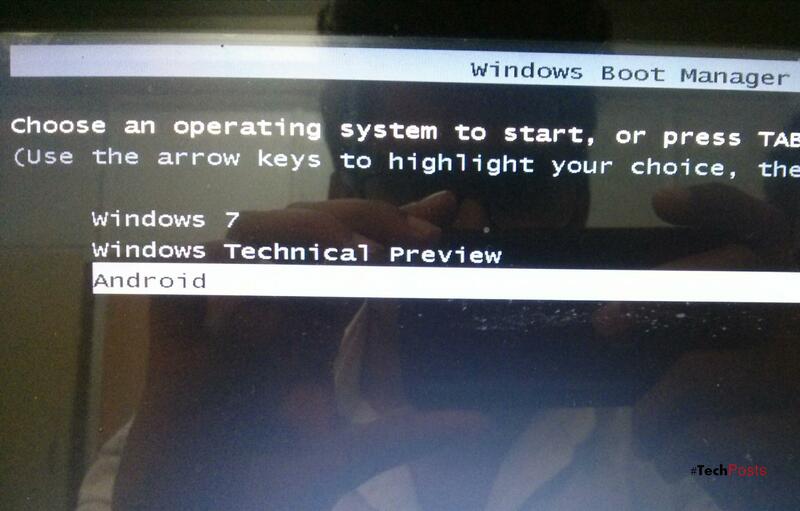 Most of Windows 8 Devices which use UEFI and GPT Disk is not supported till Now. How to change Android Screen DPI ? I’m waiting too much time and installation still not completed, what’s going on? Can it be installed with Windows 7 and ubuntu (installed with WUBI) ? What about UEFI Devices ? You must download EFI image file of Android x86 4.4 from Android-x86.org and then install it. willwork for sure. i Have installed android lollipop 4.4.
but it taking only 1GB SD Card space and i want to extend it . Link For “”Androidx86 Installer (Download from Here) “” is Down. Thanks! We have updated it!! In which format should the sd card be ? I’ve installed it on my sd card but when i restart and i choose android, i have an error with the boot manager. It tell me that there is an erro on the file boot/…. These permissions can be the way OS to windows 10 not ?